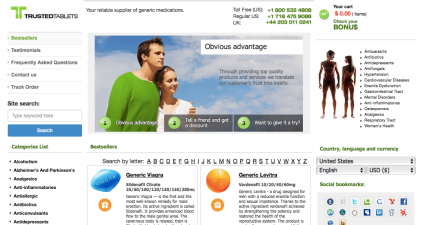 Viagrathailand.net was another online pharmacy that used to supply generic medications for erectile dysfunction to the customers. The website is currently inaccessible for an indefinite period of time and the reasons are not known. The pharmacy used to deal with the top quality manufacturers as well as pharmacy distributors in order to supply 100 percent certified and legal medications. These drugs were made by different pharmaceutical companies, all of which were located in India. Some of the pharmacies that used to manufacture drugs for Viagra Thailand included Ranbaxy, Ajanta, Cipla, Centurion Labs, German Remedies, Sunrise, Dharam Distributors, Alkem Dadha Pharma and RSM Pharma. The company claimed that all of these manufacturers were internally renowned for producing good quality generic drugs. The drug store had also claimed that its whole collection of drugs was priced quite reasonably. It further clarified that the cheap prices did not mean that it used to compromise on the quality. Instead, Viagra Thailand used to offer both quality and affordability. The main assortment was drugs for erectile dysfunction and included Viagra, Levitra, Cialis and Priligy. The store was, however, not so cheap, as the 100 mg generic Viagra tablet used to cost around 3.01 US Dollars. The company used to take anonymity and privacy of the customers seriously. For this reason, it never used to mention the product name or any such information of the credit card statement. Products were delivered anonymously and its content was always made sure to be properly hidden. It also offered a reliable shipping process as it claimed that 99.9 percent of the times, its parcels were always delivered. Both EMS and Registered Airmail Service used to be available for delivery of product, the charges for these services could not be known as it varied according to the location. All debit and credit cards used to be accepted here which included Visa, JCB, MasterCard, Diners, and AmEx. A refund was also promised upon dissatisfaction. In addition to two different contact numbers i.e. +44-203-608-1340 and +1-877-888-9761, a live chat was also available when this company used to work. Viagra Thailand did not have any proper reviews generated by the customers, however, a report was found regarding the functions of this pharmacy from an independent website. According to this review, Viagra Thailand had failed to comply with the norms, but “in a minor way”. It had been further mentioned that the total duration of working for this drug store had been relatively short. It had been rated as an unreliable website by other reviewers. Moreover, it was also stated that it used to ship “fake medicines”. The shipping service that was provided by Viagra Thailand had been rendered as “slow” and it was mentioned that this drug store used to operate from a “high-risk country”. Generally speaking, it can be said that Viagra Thailand e-pharmacy did not enjoy a good reputation and had a lot of concerns raised by other platforms regarding its authenticity. 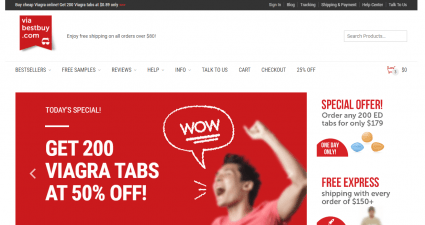 No reviews for ViagraThailand.net e-store could be found for the year 2016. Therefore, it was time to consult LegitScript. 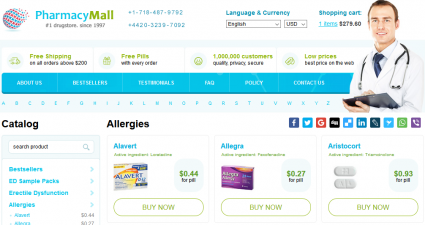 LegitScript had not explained much about this drug store except the fact that this pharmacy has not been able to comply with the verification standards of LegitScript. Therefore, it had been termed as a rogue and was never recommended for using. Scamadviser had a totally different report about Viagra Thailand e-pharmacy. According to this scam detecting software, ViagraThailand seemed like a pharmacy which is completely safe to use and had no risk associated with it. It had actually been given an 86 percent trust rating at Scamadviser, putting it in a green zone. However, Scamadviser was not sure about its popularity. Unfortunately, this drug store never had the courtesy to provide good discounts to its customers. What it used to offer was offered by almost every other store available on the internet i.e. 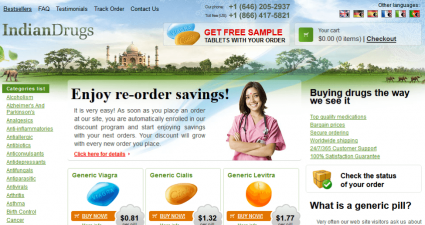 discount on buying medicines in bulk. buying 10 pills of Viagra Gold 800 mg allowed the customer to purchase a single pill at 14.25 US Dollars, but buying the same drug in a quantity of 30 pills reduced the per pill price to 11.87 US Dollars and so on. ViagraThailand.net does not seem like a drug store that I would have chosen or recommended to anyone provided it was still operational. It had extremely expensive drugs and offered no genuine discounts. Most of the review reports were highly against it which nullify the positive report presented by Scamadviser. There was nothing appealing that this drug store used to offer. I would give it a rating of 1 out of 5 and would ask everyone to avoid such drug stores in future. The online pharmaceutical market is filled with a lot better options to buy ED drugs from.